Growing up in Birmingham, Alabama, Scott Gurosky graduated from Vestavia High School in 1987 where he earned a football scholarship to Auburn University. In 1989 Scott left football to play baseball at Auburn but repetitive injuries forced him out of sports for good in 1990. Earning a bachelor’s degree in Building Science, Scott graduated from Auburn in 1991 where he was then hired as a field engineer for Harbert International, Inc. by Wayne Myrick, who would later become his business partner. In 1993 he joined Wayne at the recently formed Myrick and Batson, Inc., a Design/Build firm headquartered in Birmingham, Alabama. 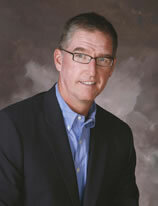 Scott started with the company as a field superintendent/project manager and by 1994 was an owner in the company. In 1995 he was promoted to Vice President, and in 1997, Scott was named President. In 1998 Scott received the “Rising Star Award”, sponsored by the Birmingham Business Journal’s “Best in Business” awards. In 2000 the company was renamed, Myrick, Gurosky & Associates. Inc.
Scott has been a member of Shades Mountain Baptist Church in Vestavia Hills, Alabama, since 1983, where he has served as a Deacon and where he and his wife Kelly have served in the Student Ministry since 1999. Scott has been very involved in youth sports in his community and 1998 and 2013 Scott was recognized by the Vestavia High School Baseball program for his service and commitment to their program. Scott has previously served on the on the Foundation Board at Southern Baptist Theological Seminary in Louisville, Kentucky and has also served as a board member for World Link International Ministries. Scott, along with Wayne Myrick and David Johnson, was one of the founding members of Doulos Partners and currently serves as a board member. Scott and Kelly have two sons, Davis and Drew. They live in Vestavia Hills, Alabama.